PERI is developing AMI solutions that are simple, scalable and cost effective. The solution includes multiple hardware and software components depending on specific utility client requirements. PERI is involved in all aspects of AMI solutions and listed below are selected examples of our expertise. PERI develops solutions that anticipate customer needs and support policy objectives including selecting the best smart meters and AMI depending on the budget, deployment plan, end goal and available solutions. PERI will assist in designs and technologies that mitigate the risk of rapid technology and functional obsolescence. 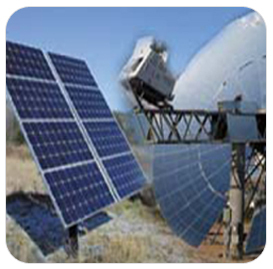 Example: If a utility customer wants to deploy AMI in phases starting with meter installation and later enhance this seamlessly into operations by adding concentrators to an overall AMI solution, PERI will help the customer achieve that goal by recommending the right solutions from start to finish based on thorough knowledge of the available technologies, as well as testing and evaluation of the recommended solution. With the rapid pace of technology advancement in the meter and communications industry, PERI AMI solution factors in the market for both current and near term vendor solutions & technologies. PERI also assists in developing layered architecture necessary for phased deployment including developing strategies with an emphasis on future-proofing the solution. Working with our manufacturing partners, PERI offers a comprehensive suite of enterprise ready smart meters with exceptional precision, dependability and affordability. We are committed to top quality and best service to customers providing only best in class advanced equipment, scientific management, as well as strict and reliable quality control. PERI has expertise and can help in standards development, compliance and third-party testing and certification. We are deeply involved in the creation of new standards for smart meter technology, making products and solutions more safe and reliable. PERI has extensive in house experience in developing and modifying firmware, connection and data communication APIs for various devices. PERI also has extensive experience with development of client and web interfaces and APIs for interfacing with open and proprietary network services and complex implementation algorithms. PERI has expertise with building authentication or encryption support in AMI, PKI/PKE applications, remote node management, tamper detection solution, vulnerability assessment, unauthorized disconnection, detection of insecure protocol implementation and firmware upgrade vulnerabilities. PERI Central Data Management System is an enterprise-wide data management solution for data management of utility customer meter data. It is an open system that can interface with a wide array of external collection sub systems. It is a scalable, secure, accurate data management solution capable of providing reliable data to a many different Utility billing and business intelligence system, utilizing state of the art PKI and role based security solutions. This layer consists of the meter-reading and management of system software which communicates directly with the other components. This includes information gathering on customer electricity usage, transmitting data to the concentrator, processing data after collating and providing critical information to the power utilization systems. The concentrator / collector is part of the centralized meter-reading system. It acts as the central link of the system, which connects with the up-stream central management system and several down-stream meter control modules. It is responsible for controlling the processes of meter reading, as well as receiving, storing, transmitting the meter reading data and remote relay management. The communication between the concentrator / collector and the up-stream meter-reading management center is done by many protocols depending on the Utilities requirement. PERI has experience with most of the communication technologies and protocols including GSM/CDMA, Carrier Line Communication, Wifi, Zigbee and Proprietary Wireless Communication. PERI Smart Meters are single and poly phase electronic watt hour meters that are designed to offer high quality, reading, performance and two way communications at an affordable price. The Smart Meters send Power quality data such as voltage, current, averages, peaks, sags and other information that is needed for TOU, CPP and RTP pricing to GridMax backhaul or other data collection systems. To insure system security and confidentiality of data, Smart Meters uses strong PKI (Public Key Infrastructure) based security for identification and encrypting data that is sent over the network. 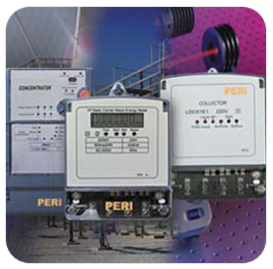 PERI Smart meters provide the accuracy and reliability needed in different deployment environments. 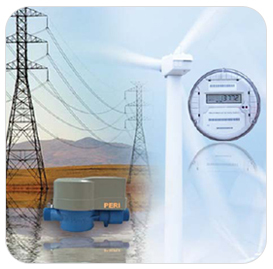 They are available in different form factors from the standard ANSI certified meters to custom indoor/outdoor meters. 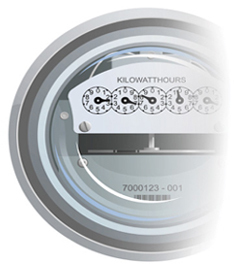 The Smart Meters are built for the Smart Grid and feature communication protocol technology that can be configured to utility customer requirements. Demand side response solutions involves a suite of ZigBee enabled smart energy profile devices in a Home Area Network (HAN) provisioned to communicate with appliances and other devices. Smart thermostats, switches, lighting systems and other devices can be used independently, or in conjunction with external third party solutions such as Google's Powermeter or with the utility's infrastructure. PERI uses the most preferred ZigBee standard as high level communication protocol for HAN home energy management solutions. This allows for open standards for implementing HAN communications including security, handshake and device interoperability. PERI also does both the device and the software application level (including firmware) specification and fabrication. This assures that only appropriate HAN devices are authenticated and connected to the utility network. Because of the care that PERI takes in the development of its HAN solutions suite, utility companies can be assured that they can distinguish between HAN devices directly under their control as part of a formal demand response program (including smart meters) and other consumer devices that might be in the home. 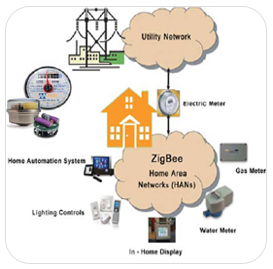 ZigBee Smart Energy (SE) profile certified products encompass the following.